The NEC PA272W is a 27” LED backlit wide gamut LCD desktop display that enhances color accuracy covering 99.3% of the AdobeRGB color space, 94.8% of the NTSC color space and 146.4% of the sRGB color space. This monitor supports resolutions up to 2560 x 1440 with a 16:9 aspect ratio and 6 ms response time. This monitor can be easily pluged into a variety of devices with a variety of inputs including DisplayPort, Mini DisplayPort, HDMI, and DVI-D Dual-Link inputs. 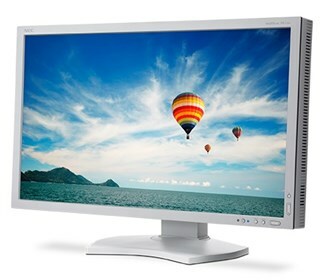 The PA272W features 178° horizontal and vertical viewing angles and brightness of 340cd/m2 with 1000:1 contrast ratio. The NEC PA272W has many exciting features for users of all types. See the NEC PA272W gallery images above for more product views. The NEC PA272W is sold as a Brand New Unopened Item.